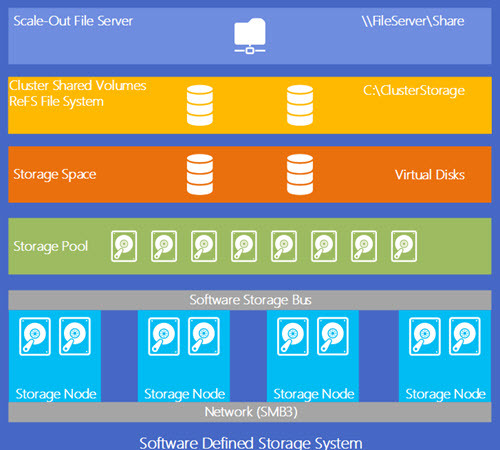 Microsoft Storage Spaces Direct – What is in it for me? Storage Spaces is a technology in Windows and Windows Server that enables you to virtualize storage by grouping industry-standard disks into storage pools, and then creating virtual disks called storage spaces from the available capacity in the storage pools. Hyper Converged – “Nutanix Mode” – Scale out with storage & CPU power combined. 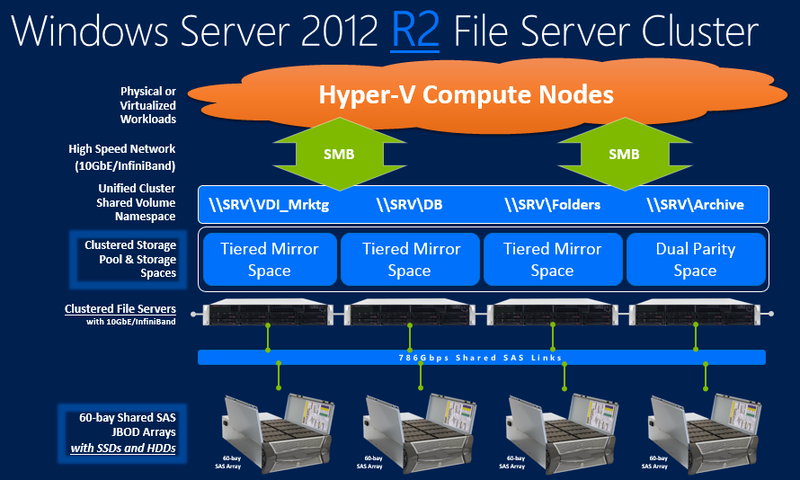 Converged / Disaggregated – “Traditional Mode” – Scale out with SOFS & Compute nodes separately. Synchronous Replication – Synchronous replication guarantees that the application writes data to two locations at once before completion of the IO. This replication is more suitable for mission critical data, as it requires network and storage investments, as well as a risk of degraded application performance. Synchronous replication is suitable for both HA and DR solutions. When application writes occur on the source data copy, the originating storage does not acknowledge the IO immediately. Instead, those data changes replicate to the remote destination copy and return an acknowledgement. Only then does the application receive the IO acknowledgment. This ensures constant synchronization of the remote site with the source site, in effect extending storage IOs across the network. In the event of a source site failure, applications can failover to the remote site and resume their operations with assurance of zero data loss. Asynchronous Replication – Contrarily, asynchronous replication means that when the application writes data, that data replicates to the remote site without immediate acknowledgment guarantees. This mode allows faster response time to the application as well as a DR solution that works geographically. When the application writes data, the replication engine captures the write and immediately acknowledges to the application. The captured data then replicates to the remote location. The remote node processes the copy of the data and lazily acknowledges back to the source copy. Since replication performance is no longer in the application IO path, the remote site’s responsiveness and distance are less important factors. There is risk of data loss if the source data is lost and the destination copy of the data was still in buffer without leaving the source. With its higher than zero RPO, asynchronous replication is less suitable for HA solutions like Failover Clusters, as they are designed for continuous operation with redundancy and no loss of data. The destination volume is not accessible while replicating. When you configure replication, the destination volume dismounts, making it inaccessible to any writes by users or visible in typical interfaces like File Explorer. Block-level replication technologies are incompatible with allowing access to the destination target’s mounted file system in a volume; NTFS and ReFS do not support users writing data to the volume while blocks change underneath them. From a technical stance, this is completely understandable. Though, do not expect to have “local” access to all data when doing “hyper convergence”. So you will need a high-speed / low latency network between your hyper-converged nodes! Think towards RDMA with infiniband/iWarp… Eager for more? 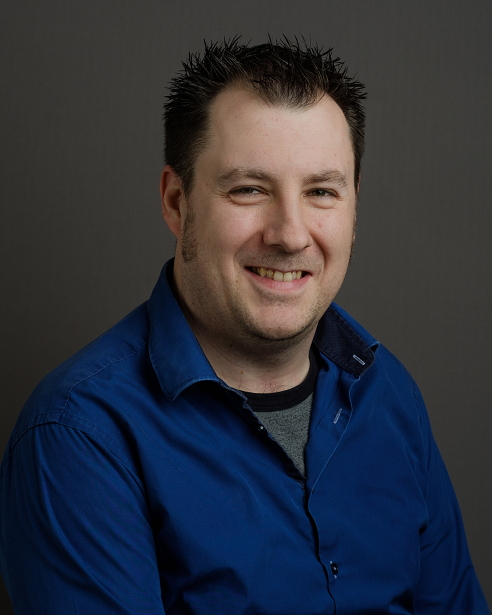 During Ignite, the first glance of Azure Stack saw the light… A bit after that, Kristian Nese also posted some insights about the upcoming Azure Stack. Though earlier this week, I was corrected when mentioning that “Azure Stack” was the new version of the “Windows Azure Pack”. Despite that it might be seen as the third version of this iteration, a lot has changed under the hood. I did some digging, and the InfoGraphic below is the result of my research. Though if you are wondering what to do if you’re looking to move towards your private cloud… Make your first transition to WAP now, as it’s still supported till 2017! The Azure Stack is part of the Windows 2016 release momentum, so it’s currently not available yet (and you should not expect it next week). Though, be aware that you should set it as your target goal once it has been released. It will be an experience that’s more aligned with the Azure Public Cloud and even extends the Private Cloud experience further to true Hybrid Cloud capabilities.